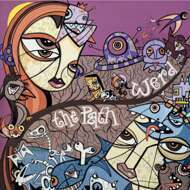 Long Lost Relative finally releases Werd´s first solo album "The Path". What he describes as a "melancholic melodic instrumental hip hop album" is a very personal and private insight into the emotional world of an artist who usually plays a background role in the German music scene. Produced over a span of 2 years, “The Path” is a musical diary in which Werd shares with us a variety of experience ranging from hopelessness and heartbreak to inner peace and overwhelming joy. The Swiss artist C-Line, who intimately shared these experiences with Werd, completed the project with a beautiful visual representation of The Path. Musically, “The Path” is built around a core of analog instruments; Fender Rhodes, Moog Prodigy and many eastern percussion instruments lay the foundation upon which Werd builds his songs. Explicitly avoiding the use of samples (with the exception of one song, Serpentine), Werd exposes details of “The Path” with each instrument he plays, his hands telling us the timeless story of struggle and redemption, separation and unity. The dark mood of the album reflects the overcast, grey atmosphere of the city Werd calls home. There is so much beauty to be seen in the darkness, and Werd is determined to share that with anyone and everyone who is open to listen.